Does anyone else find them really ugly? Especially in the black scheme. 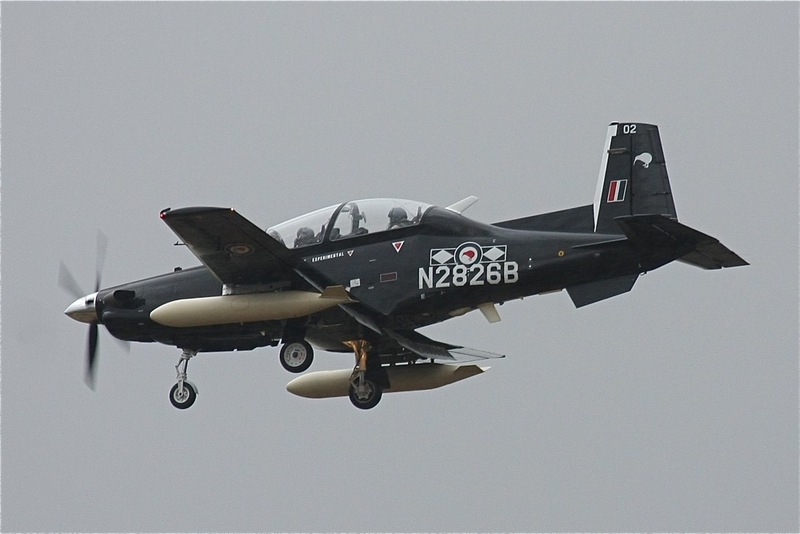 The first Saturday of August saw the arrival of two of the Royal New Zealand Air Force’s brand new training aircraft. 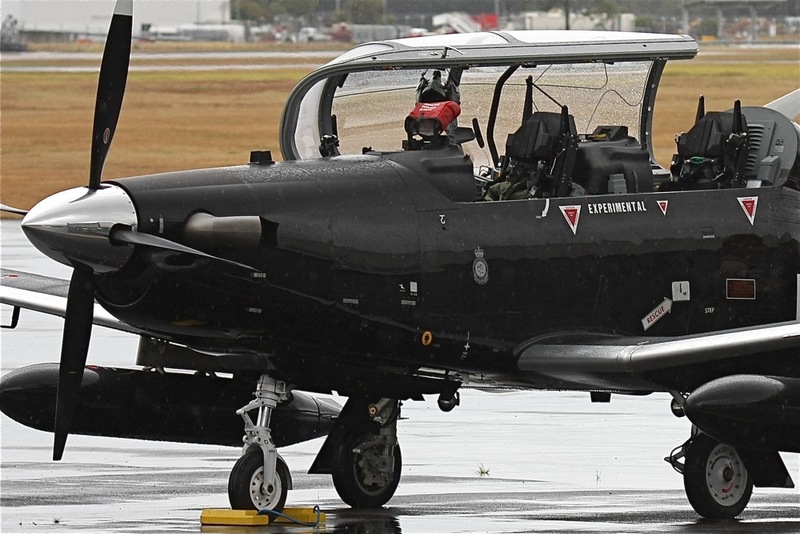 The announcement that the RNZAF would buy 11 T-6C variants of the Texan II was made on 27 January 2014, by the Minister of Defence, Dr Jonathan Coleman. 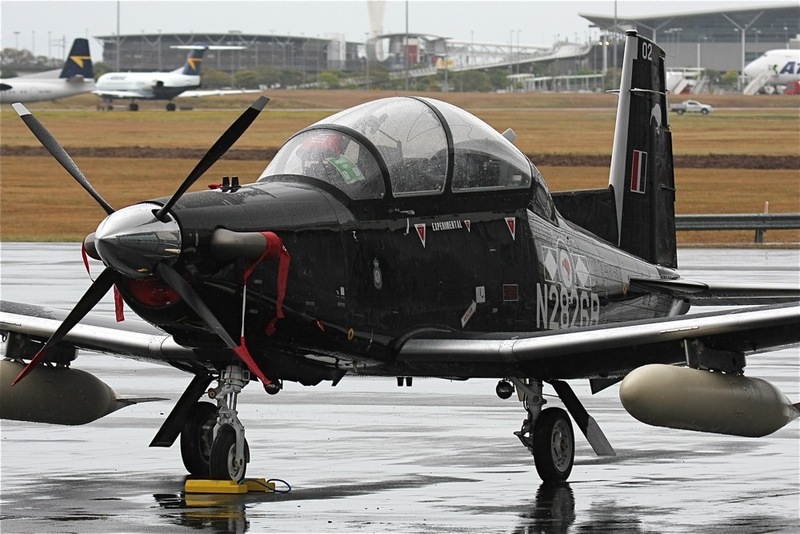 The aircraft are destined for the Flying Training Wing at Ohakea Air Base on New Zealand’s North Island, and their delivery flight is anticipated to take several days with multiple stops en route. The routing took them from Keflavik, in Iceland, to the UK. 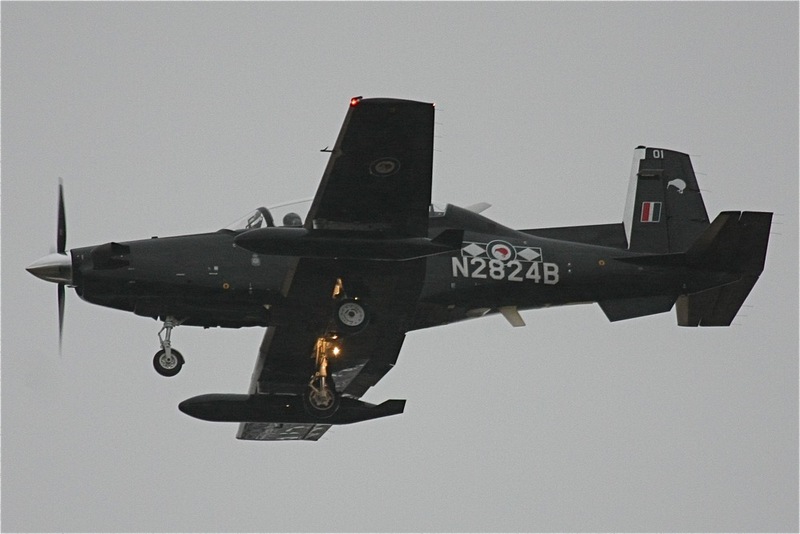 Both aircraft had additional fuel tanks fitted for the delivery flight, and were wearing US registrations N2824B and N2826B. It is reported that they are to carry on to Ciampino International Airport in Italy. On entry into service the two Texans will be NZ1401 and NZ1402. 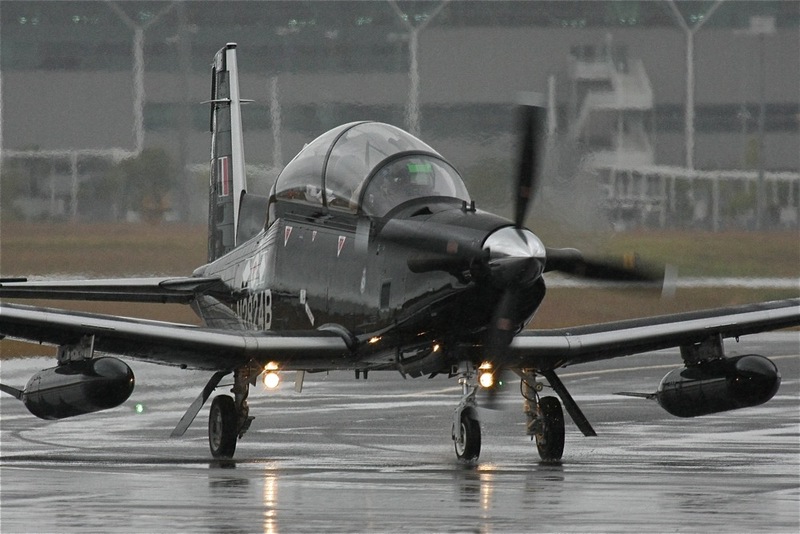 The first Wings Course at Ohakea on the T-6C is due to commence in January 2016. Some more photos from Beechcraft from their Facebook page before they left the US, apols if they have been posted already. I think they look awesome, not at all ugly. looking closer at the above images reveals a bit of orange peel in the paint finish, plus observed lots of raised rivets. Yeah, so that's where the Phantom Rivetter went to when Airfix finally pensioned him off. These are working military aircraft, not display show ponies. Perfectionists like the guys from AvSpecs and Pioneer would shake their heads and walk away, but as long as the structures are within manufacturer's limts then they are good to go in everyday RNZAF service. A) They're not military aircraft yet. B) In the days when beagle and I were in the RNZAF the Safety And Surface trade made turned out flawless aircraft finishes. Standards slipped when they let the civvies take over the jobs. oh I must admit Dave, I have had a few runs in my painting days. It looked to me like the temperature was too cold for a proper finish, but I guess a lot of factors have to be just right for a good finish. Not the least, the skill of the operator! First 2 have got to Darwin. Well at 4:30am this morning I thought one was flying overhead in Tokoroa this morning - definitely not a piston engine. Well it reminded me of them arriving soon in NZ and probably was a Cresco or something due for some work today. It flew directly over the house at a much lower altitude than any civilian plane and heading in a straight line for the airfield targetting the gap between the two lumpy hills either side of the highway approach from north into Tokoroa. Blue frosty sky, stars were out, the turbo prop engine was quite busy and noisy, unusual busy, sharp prop sound - not the normal Cessna etc 2 bladed prop. I'll have to ask around to see what unusual plane had arrived. They're due to Cairns today, Friday, and apparently are deviating from the delivery route mentioned earlier and heading to Brisbane Saturday. So perhaps their NZ arrival date will be before the 21st? TEX2 is just climbing out of Darwin now (1257 NZT), 3.15hrs to Cairns. update..............second one about ten minutes behind. FlightAware (etc) showing them as leaving 10:05 EST for arrival 12:30 at Brissy. Bets on straight to Norfolk vs via Lord Howe? Almost home with the hop across the ditch to come. After six months of blue skies and nil rain, the two TEX 11s arrived at a moist YBBN just after noon today. Good to see them in what will soon be their natural element at Ohakea (rain!). I see you even got an old Fokker in the background, oldfokker.